I’d heard about Oga’s from a few food bloggers who had nothing, but good things to say about the restaurant. One blogger I read likened Oga’s to a more affordable, but same quality as some of the best sushi places in Boston like Oishii (see my review here). With rave reviews like that, I knew I had to give this place a try. 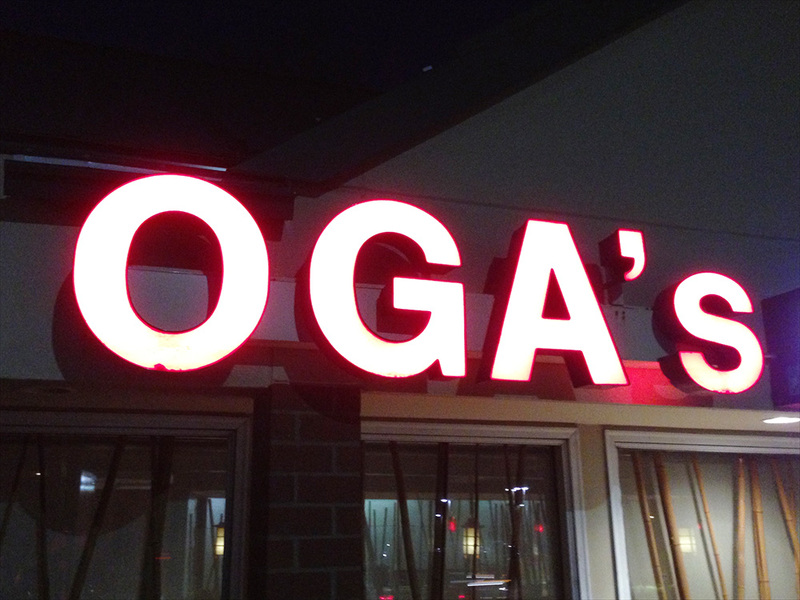 From the outside, Oga’s isn’t really that appealing. It’s awkward to get to off of route 9 and it’s basically in a lackluster strip mall. The good news is that one thing I’ve learned over the years is never to dismiss a sushi restaurant just because it’s in a strip mall. 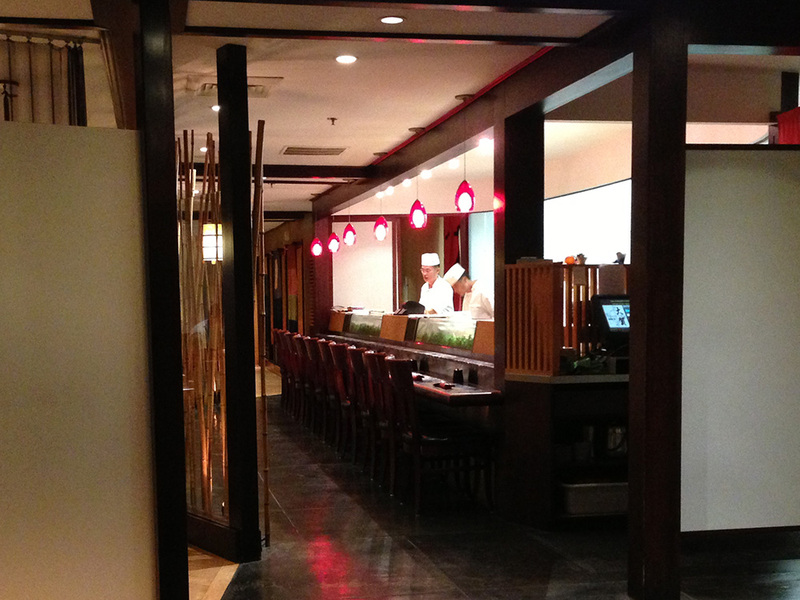 You’ll find some of the greatest sushi and Chinese food in strip malls! Upon entering, the restaurant interior looks nothing like a strip mall, but instead has surprisingly good lighting with a combination of modern and traditional Japanese decoration. The hostess brought us to our table and immediately, I could tell that we’d made a good decision to visit Oga’s. Our server was especially helpful and unlike most people in a sales/service industry, she didn’t try to get us to purchase more than we needed or items that the kitchen was trying to move. 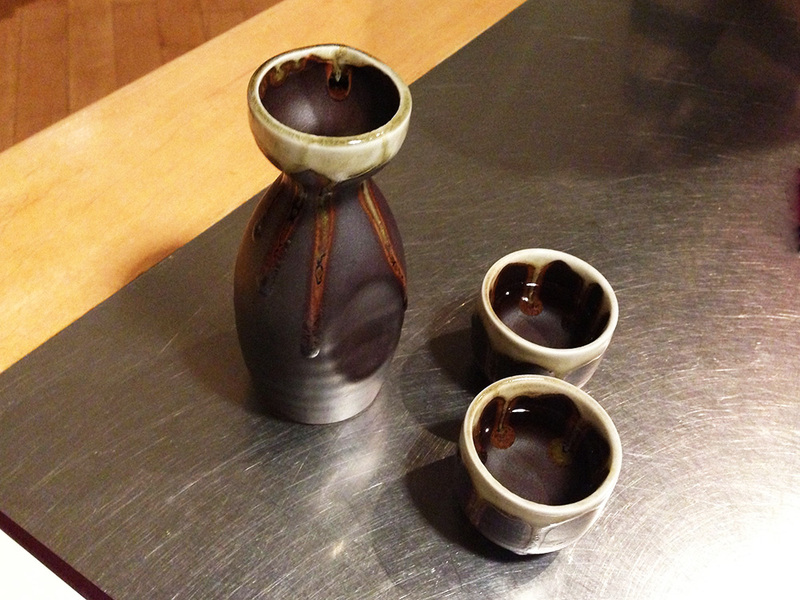 For example, when we asked about sake, she recommended the smaller carafe for us rather than pushing the larger, more expensive one. Additionally, instead of really pushing us to get the specials of the day, she listened to our order, told us the specials, and when I asked if she recommended something from that list, she confidentially told me that what I ordered was better than the specials. Even if the food wasn’t good (which it was! ), the service already impressed me. 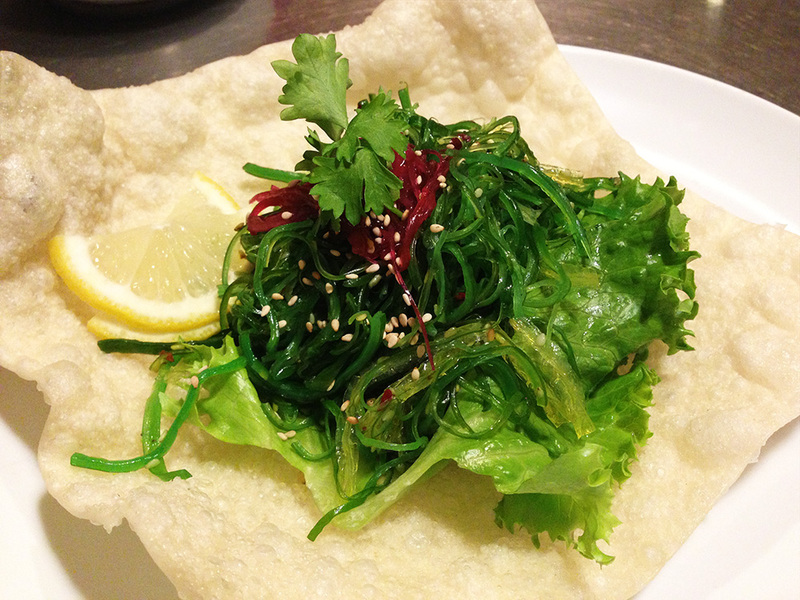 We started our meal with a seaweed salad, which came on a fried rice flour shell. The seaweed salad was pretty standard and very good in the sense that it tasted fresh and not fishy like at some places. The crunchy bowl was probably more for show than anything, but I tasted a piece and it provided an interesting and fun addition to the dish. 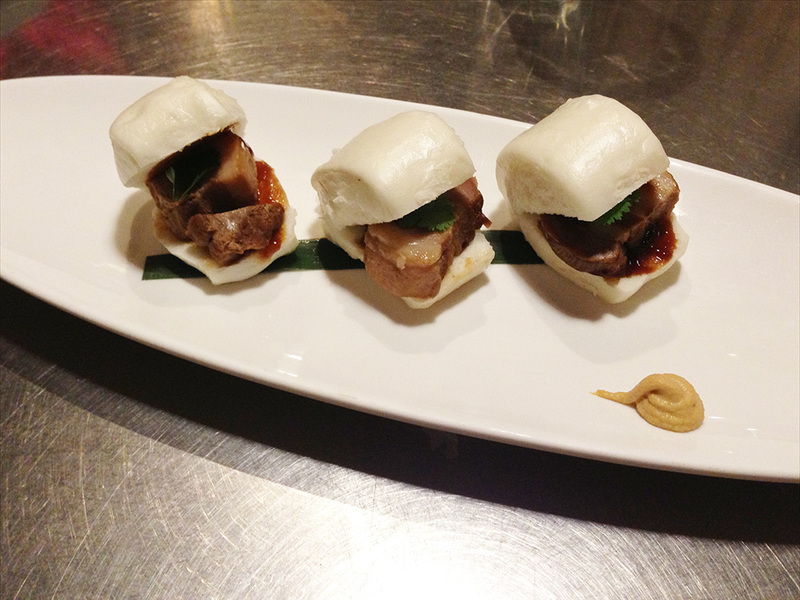 We also tried the pork belly buns special as an appetizer. Personally, I’m not a big fan of buns because they are usually all bland rice dough and very little filling. The description of the buns wasn’t very informative, but the words “pork belly” were enough to get my attention. With my expectations low, the pork belly buns came out and they weren’t like the usual dough ball, but instead were like little slider pockets filled with a generous amount of pork belly. I was very pleased with the flavor here because the pork really shined through and the Japanese marinade of flavors really drew out the sweetness of the pork. As our entree, we ordered a mix of maki rolls and sushi. Normally, when going to a really good sushi place, I try to get mostly sushi (slices of fish over rice) instead of rolls. Nonetheless, at Oga’s reasonable price point and from what I saw as their quality it seemed appropriate to get some maki rolls. We ordered the Alaskan Maki (Salmon, Avocado, Cucumber & Scallions w/ Bonito Flakes), Crazy Maki (Shrimp Tempura, Avocado, Cucumber & Flying Fish Roe w/ Spicy Mayo), Ohtoro (Fatty Tuna), Maguro (Tuna), Unagi (Grilled Eel), and Red Snapper. All of the sushi and rolls were fantastic. The Alaskan roll had a smoky flavor from the bonito flakes that I found really interesting. The Crazy Maki was really tasty, crunchy, and filling and provided that comedic quality needed at most sushi places where people try to cram a huge roll into their mouth all in one bite or attempt to eat it in a few bites, only to spill the roll all over the plate. The Ohtoro was also deliciously fatty and stringy in texture. It is tuna, but unlike most tuna people are used to eating due to the texture. The Maguro was firmer than the Ohtoro, but less stringy and provided fresh tuna flavor as well. The grilled Unagi was tender, sweet, and almost melted in my mouth. Lastly, the Red Snapper (one of my favorites and often hard to find) was firm and velvety at the same time. It’s not as fatty as the tunas, but still packs an amazingly fresh ocean flavor. Lastly, for dessert, even though we were pretty full, we opted for the fried ice cream. 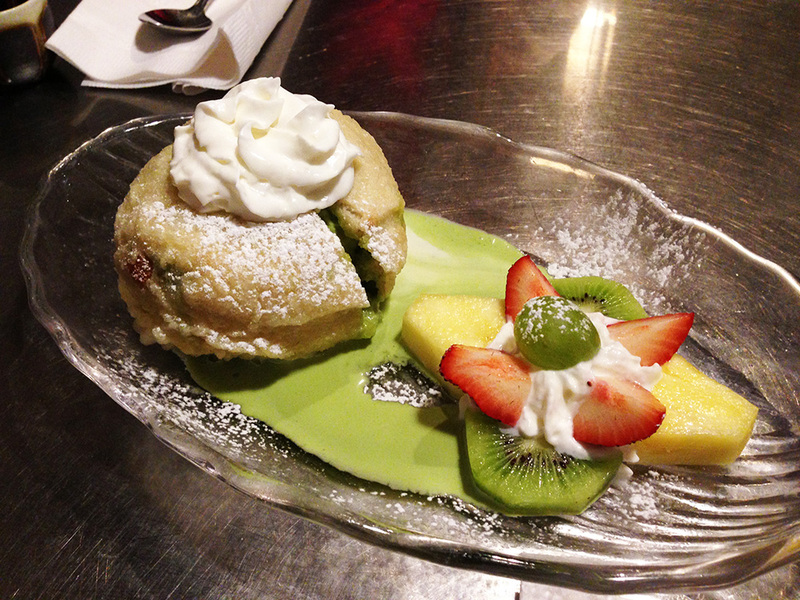 It came as a half and half combination of green tea and vanilla coated in tempura batter. This is what fried ice cream is supposed to be. I’m so sick and tired of going to restaurants where the ice cream is rolled in corn flakes or cereal and then fried. I don’t mean that those places don’t make a good dessert, I’m just saying that when I think of fried ice cream, I think of what Oga’s is serving. Actually battered and fried ice cream. The flavors were so delicious along with the tempura batter that we couldn’t help ourselves and almost ate the whole thing. We left thoroughly stuffed and pleased. 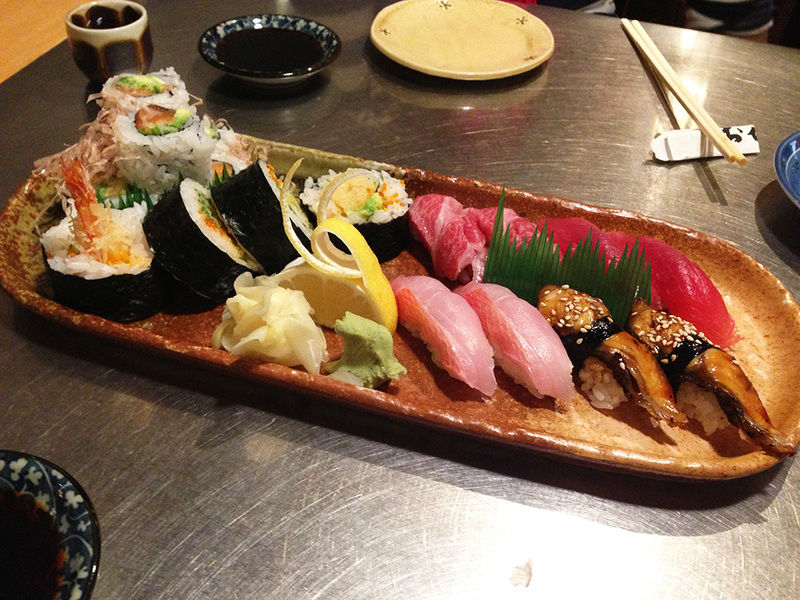 Oga’s is easily the best sushi restaurant at its price point in the area. While I really can’t agree that Oga’s is in the same league as some of the “gourmet” sushi restaurants in Boston (like some of my food blogger friends would suggest), it is definitely the best when it comes to a restaurant that you could visit regularly without taking a loan out from your bank. Highly recommended, but make a reservation if you don’t go early in the evening to beat the crowds. I have not been getting around to blogs, even my own! I hoe to see more of you , but I dropped in to say that I hope 2014 is a wonderful year for you. It’s been a hectic holiday season for all of us! Thanks for the well wishes in 2014! Same to you!